ADDENDUM: Starting bid increased from catalog. 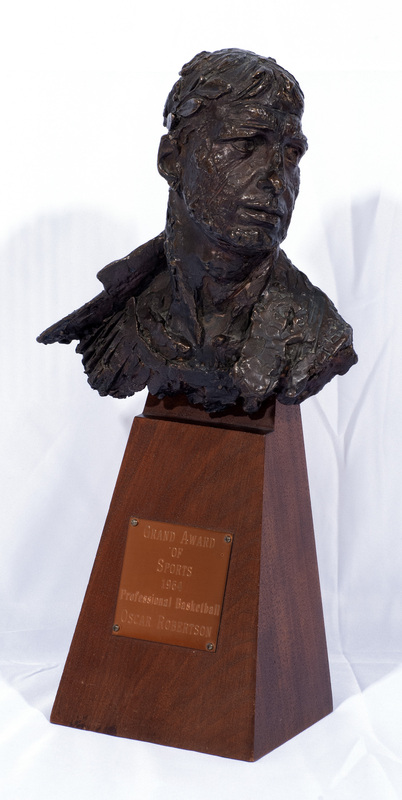 This was one of the world's top sports awards from the 1964 World's Fair. To coincide with the 1964 World’s Fair in New York, a select panel of sports experts covered to select an athlete to receive “The Grand Award of Sport.” 83 college and professional athletes were selected from 20 different sports ranging from baseball and football to horse racing and skiing. The whole show was broadcast live from the World’s Fair with Bing Crosby as the host. 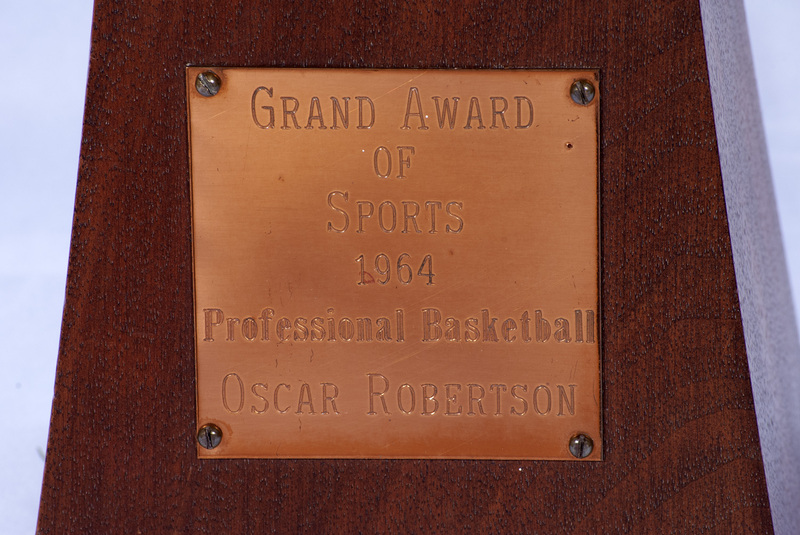 The pro basketball category pitted Wilt Chamberlain, Jerry Lucas, Bill Russell, Jerry Westand Oscar Robertson against one another, yet it was no surprise that Robertson was selected the winner of the basketball award, as the Cincinnati Royals star was at the top of his game in 1964. 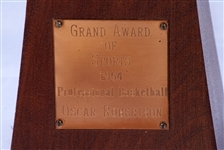 This is the highly coveted trophy awarded to Robertson at the ‘64 World’s Fair as the best basketball player of the year. 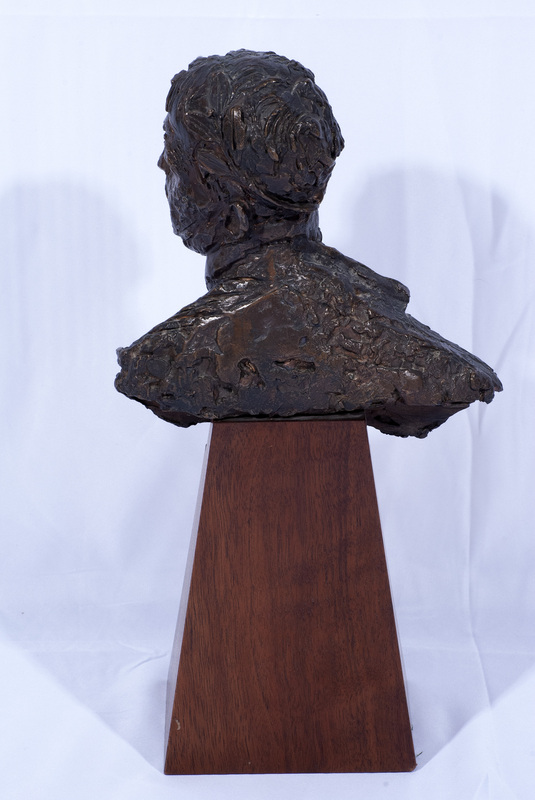 The trophy was created by noted sculptor Bruno Lucchesi and features a bust of an ancient Olympic champion complete with laurel wreath. 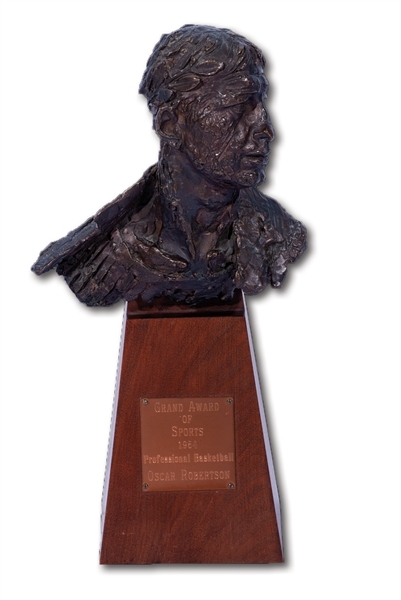 The bust (made of a dense metal compostion, perhaps bronze and/or copper) is mounted on a wood base (3x5 on bottom) upon which an engraved plaque reads, “GRAND AWARD OF SPORT 1964 PROFESSIONAL BASKETBALL OSCAR ROBERTSON.” Measuring 12.5” high and 7” wide, the impressive piece weighs 8 pounds. Truly a one-of-a-kind award given to the best pro basketball player in the world at the famed 1964 New York World’s Fair. Includes LOA from Oscar Robertson.